Share your favorite Silk Smoothie. Just in 3 simple steps. Share your smoothie solution for a chance to win. Go to http://silk.com/smoothiesweeps to stand a chance to win a Silk Kit. 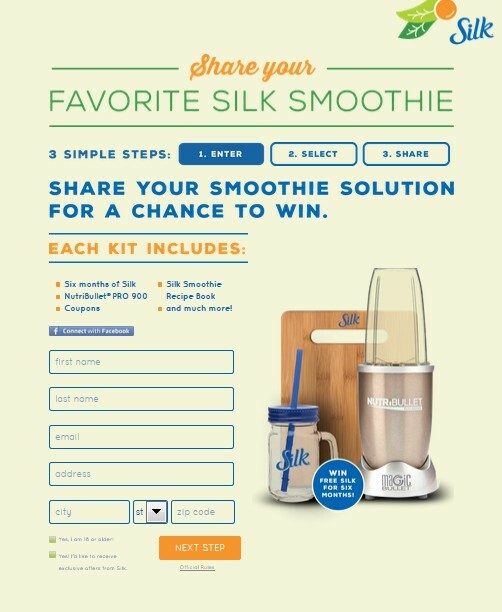 Share Your Smoothie Solution For a Chance to Win Silk Products.